The Shogun in Japanese History From 1192 A.D. until 1867, almost continuously, Japan was under the rule of a Shogun. The term is a derivative of "Sei-i-tai-shogun," which translates as "Great Barbarian Subduing General," and was first used in the Nara period. Although the regular structure of the empire remained intact, the Shogun became the de facto ruler of Japan. The Shoguns were not all great military leaders. Often to gain power one would need these skills, but for the vast majority of the period, the title was inherited or peacefully transferred. There were three main periods of Shogun rule: Kamakura, Ashikaga, and Tokugawa. The Kamakura Shogunate The first of the Shoguns was Yoritomo of the Minamoto clan. The Minamoto clan held power in the east, while their opponents, the Taira, were strong in the southwest. A series of power struggles marked the twelfth century, with the Taira emerging victorious over the Minamoto and the ruling Fujiwara in 1160. In 1180, the Yoritomo led a successful uprising, and drove the Taira from power in 1185. Yoritomo set up a military capital, or bakufu, in Kamakura after the conflict. The emperor bestowed the title of "Shogun" on him in 1192. Yoritomo was already extremely powerful because of his military network, and this designation made him even more so. The emperor became powerless against the new ruler in Kamakura. 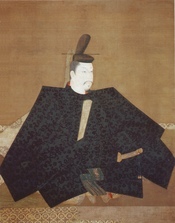 Yoritomo's power came from the new warrior class, the samurai, which he maintained as a privileged order, and from a network of political and military alliances. Yoritomo attached warriors to himself, and this was the seed of feudalism in Japan. Additionally, this allowed him to forbid ties with the royal court. Stewards of estates, and constables and protectors assigned to provinces by the shogun, and these positions eventually became hereditary. The Kamakura government was broken into three main bodies. The Samurai-dokoro or "service room" concentrated on the military, becoming involved in all aspects of a warrior's life. The Mandokoro, or "Council" made policy. The third body was the Monchujo, and was the judicial body of the Kamakura government. This established a link between the bakufu and the court in Kyoto. Yoritomo had established the groundwork for the rule of Japan by the shogun. In 1219 the Hojo family, gained power by eliminating the Minamoto heirs. They became the new military rulers of Japan. No Hojo would ever become shogun. Sometimes they would have figurehead shoguns appointed, but the Hojos ruled as the shikken, or "hereditary regent." Thus the power handed over by the emperor to a shogun, was in fact exercised by a Hojo regent. There was only one attempt by the court to regain control in this period. The emperor Go-Toba called all eastern warriors to a festival in 1221, with the intent of drawing them from their bases. Those sympathetic to the court proved to be no match for the Kamakura fighters. The Kamakura did not inflict harsh terms on the rebels, opting for exile and confiscation of property. This rebellion prompted the military rulers to keep closer tabs on the court however. The remainder of the thirteenth century saw peaceful rule under the Hojo clan. They set an example of frugal living, and employed the management structure Yoritomo had set in place quite successfully. But the Mongol attempts to invade drained the Hojo resources, and left them unable to reward supporters. Attempts to placate warriors and the public, such as a cancellation of debts, failed, and the emperor Go-Daigo came to power in 1318. The emperor, thirty years old when he took the throne, led a successful rebellion, and in 1333 captured Kamakura. He had been denied his throne by the Hojo, and subsequently exiled. He employed similar methods to those of Go-Toba, but this time there was little public support for the military government. The emperor then attempted to restore imperial rule, but the military leaders of Japan still held the power. In the struggle that ensued, Go-Daigo endorsed the wrong leader in the conflict, and Ashikaga Takauji, who had previously been a supporter of Go-Daigo, emerged victorious. He installed a new emperor, Go-Daigo was sent into exile. The emperor set up a rival court, and for the next fifty-six years civil war raged between Daigo and the Ashikaga shoguns. In 1392 Go-Daigo abdicated, and the Ashikaga Shogunate became official. The Ashikaga Shogunate The Ashikaga never fully controlled all of Japan. The shoguns bargained with warlords and landowners. There was continual shifting of alliances and loyalty. No strong, feudal court of justice existed, and a split in the court further weakened the emperor, who was sometimes reduced to selling his autograph. The feudal relationship evolved into a vassal-lord relationship, and central authority was lacking. The Ashikaga Shogun became the equivalent of a secular monarch. He exercised: uncontested powers of taxation, power of appointing and dismissing officials, judicial superiority, and military control. When diplomatic relations were opened with China in 1408, the Shogun accepted the Chinese offer in his own name, not the emperor's. Now, even to the outside world, the shogun was the official head of Japan. The court, which had been divided into north and south branches, was reunited in 1392, when the Ashikaga shogun severed the line of the emperor Go-Daigo. This began a period known as the Muromachi, which was relatively peaceful. The exception were agrarian revolts. The bakufu was not strong enough to provide redress for their grievances, so they formed groups for protection known as ikki. Uprisings became more frequent, and the Ashikaga also, unsuccessfully, attempted a cancellation of debts. Though it was plagued by many problems, the Ashikaga Shogunate did see an increase in living standards among Japanese. Better agricultural methods and larger estates helped spur a three-fold increase in food production. The wars of the fourteenth and fifteenth centuries made apparent the need for better transportation. Guilds were formed, initially for protection. A series of wars from 1534 to 1615, known as the Sengoku-Jidai, finally brought an end the Ashikaga rule. Three warlords brought and end to conflict; Oda nobunaga, Toyotomi HIdeyoshi, and the successor to Hideyoshi, Tokugawa Ieyasu. Ieyasu became the first of the Tokugawa Shoguns, a line which would rule for 250 years. The Tokugawa Shogunate The Tokugawa Shogunate ushered in a period of peace and unity unmatched in Japanese history. However this peace was obtained at the expense of a police state, and in this period Japan went into an almost complete isolation. The Tokugawa leadership was able to bind the local military leaders, or shugo, to the bakufu in Kyoto. The Shogun gave official title to the de facto leaders, and through threat of pitting one shugo against another, gained their cooperation with and participation in the bakufu government. The feudal lords, or daimyo, were required to spend time at Edo (Tokyo), the seat of Tokugawa government. All society was divided and ranked under Tokugawa rule. The daimyo and their samuri made up the highest class. The peasants ranked second. The artisans and merchants made up the third and forth classes. They were ranked last because it was considered they produced nothing. The Tokugawa kept a watchful eye on the imperial court. The court was isolated from the daimyo, and all visitors to the court were cleared first through deputies of the Tokugawa. Rulers in Edo passed on measures to Kyoto, which would of course approve. Throughout the Shogunal period of Japan, the shoguns maintained, at least outward, belief in the divinity of emperors, and the Tokugawa continued this practice. The emperor continued to have little real power, and the principle of abdication continued. Ten of the fifteen emperors during this period abdicated. Public laws were read to the illiterate public stressed ethical behavior. In 1742, the Hundred Regulations covered all aspects Japanese law. One of the most important laws during the Tokugawa period was the 1637 prohibition of departure from Japan by citizens. Tokugawa policy isolated Japan from the Western world. First, Portugese, then other Europeans came to Japan, and the shoguns believed the introduction of Christianity could possibly be preliminary to European conquest. Only small groups would be allowed trade access to Japan, and during the next two centuries Japanese culture grew inward. The eighteenth century saw social and economic change within Japan, and the rise of a wealthy merchant class. At the same time, agrarian revolts became more common because of harsh impoverishment. Numbers of ronin congregated in the cities and western technology was introduced that was incompatible with the feudal way of life. In 1853 U.S. Commodore Matthew Perry arrived and established trade relations between the U.S. and Japan, and two years later Japanese trade missions were bound for Europe. The coming of the Americans signaled the end of Tokugawa rule, though. Between 1858 and 1868 several political maneuverings and conflicts involved many different interests. Essentially two clans joined forces, and claiming power given by the emperor and promoting harsher dealings with foreigners, were able to defeat the Tokugawa. In 1867 the last shogun, Hitotsubashi resigned, and the emperor, Mutsuhito, regained real control of Japan. The royal capital was transferred to Edo, and the feudal system of Japan began to be disbanded. The almost continuous rule of the shoguns came to an end. SOURCES CONSULTED Grossberg, Kenneth. "From Feudal Chieftan to Secular Monarch: The Development of Shogunal Power in Early Moromachi Japan." Monumenta Nipponica 31 no. 1 (1976): 29-49. Latourette, Kenneth Scott. The Development of Japan. New York: Macmillan, 1926. Meyer, Milton W. Japan: A Concise History. Boston: Allyn and Bacon, 1966. Morton, Scott W. Japan: Its History and Culture. New York: McGraw-Hill, 1994. WriteWork contributors. "The Shogun in Japanese History From 1192 A.D. until 1867," WriteWork.com. WriteWork.com, 01 February, 2008. Web. 25 Apr. 2019. Paper on the Vietnam experience from the book "Rumor of War"
Japan Critique 1 Why was Japan unwilling to open itself up to western traders? French influence in Vietnam in the 19th century.